I needed a good week or so to process this. I needed to go back and listen to a good portion of Juicy J's discography to make sense of what just happened a couple of weeks back. Sike, I kid. Juicy J is brilliant. For the most part, he has rapped about the same content with the same flow for over twenty years but somehow finds a way to keep it fresh. The man born Jordan Michael Houston found a way to garner lots of attention for a song of his called "Scholarship" by offering a real scholarship. Now let's backtrack for a moment. The song is called 'Scholarship.' 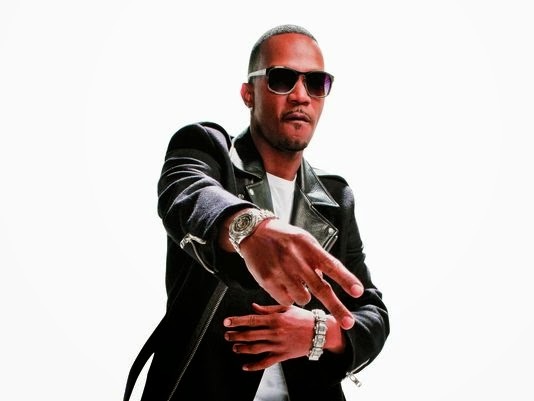 In the song Juicy J refers to the oft-portrayed stereotype that many women that work at gentlemen's clubs are college students trying to pay tuition. Using rhythmic couplets he tells a college chick that if she keeps twerking she might own a scholarship. I've spent a time or two at similar adult entertainment venues doing what my friends have dubbed "community service" so I am familiar with the Juice Man's intentions. To cross-promote the song Juicy J partnered with none other than the CNN of the Internet, WorldStarHipHop for a contest giving one lucky lady a $50,000 towards their higher education. Many panned this idea and thought that Juicy J needed to grow up. People didn't realize that there is much more depth to Juicy J than staying trippy and bandz a making her dance. The winner of the scholarship was that 19-year-old college student and single mother Zaire Holmes from Florida. Zaire didn't twerk in her video. Juicy J stated that Zaire read the rules. It clearly said applicants didn't need to twerk. Brilliant! The girl who won read the rules. She made a video explaining what she'd like to do with the money and it worked. Juicy J said that he liked her based off of her video. That's why she won. He also said he didn't want to just give the money to anyone. I don't blame him. Throwing a few dollars in the air to someone who can gyrate particularly well may be an exhilarating feeling; but once it's over it's over and you wasted money. Well played, Juicy. Well played. In a recent interview with Complex Magazine, Zaire stated that she got to hang out with Juicy J in the studio. She said that he was quite humble and respectful. Here's the secret readers: a lot of rappers are. What you see and hear is a facade (For some. There are a lot of really ignorant ones too). Rappers too like intelligent women who are about something. There is more than meets the eye behind those shades Juicy J wears. The lessons: 1) Never judge a book by its cover. 2) Don't just make assumptions based on what you think you know of someone. 3) ALWAYS read instructions.